“Aperto” – Ex convento del Carmelo, Sassari. The museum hosts a huge collective painting exhibition celebrating artworks by more than 35 artists. 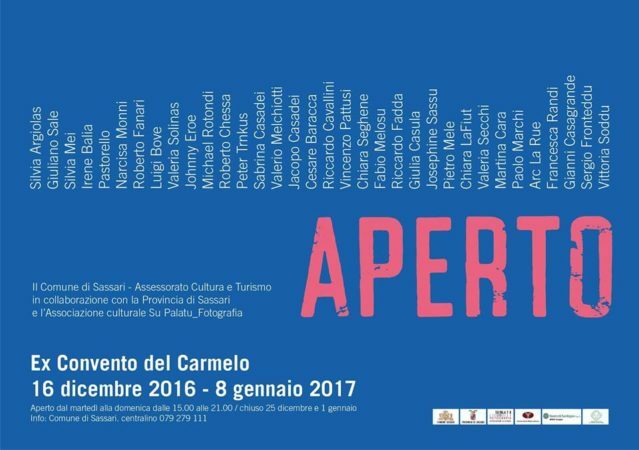 This entry was posted in Paintings Exhibitions and tagged Arte, Arte contemporanea, Arte in Sardegna, Artisti Sardi, Eventi Arte 2016, Museo Ex Convento del Carmelo, Sassari on 13 Dicembre 2016 by Roberto Chessa.